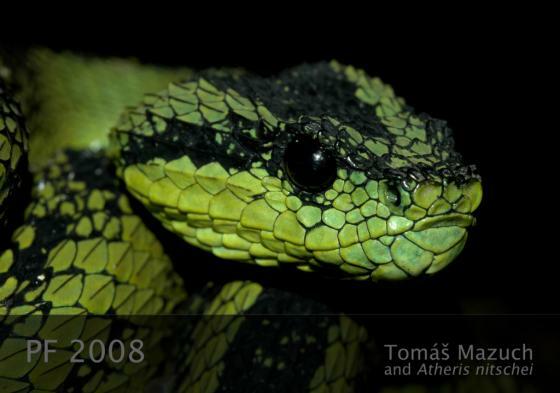 Can you confirm these amateur observations of Atheris nitschei? Distribution Tanzania, Rwanda, Burundi, Uganda, E/S Democratic Republic of the Congo (Zaire), Malawi, Zambia, elevation 1500-3000 m.
Type locality: Mpororo Swamp, Tanzania. During colonial times the Mpororo region was situated in the so-called “Zwischenseengebiet” (in-between lakes region), between Lake Victoria, Lake Kivu and Lake Tanganyika. Today this region comprises parts of northwest Tanzania, Rwanda and Burundi. The collection locality could have been situated in the region of today's border between Tanzania and Rwanda (as mentioned by McDiarmid et al., 1999). Comment Venomous! Atheris nitschei rungweensis has been elevated to full species status. Broadley, D.G. 1998. 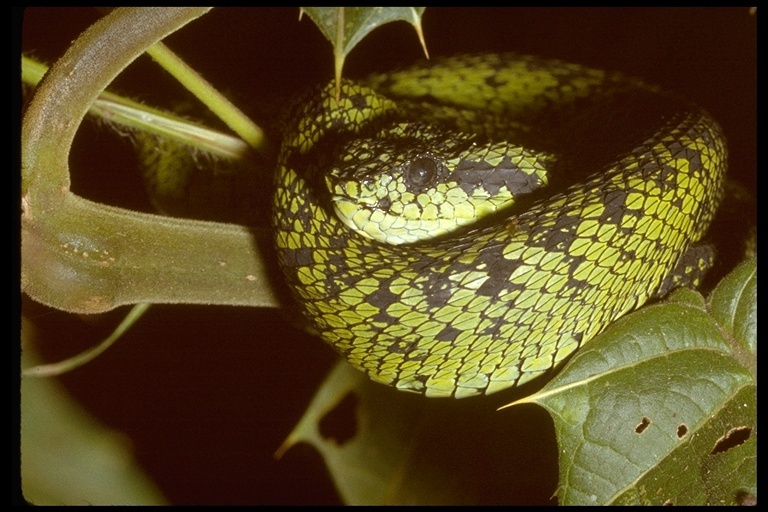 A review of the genus Atheris Cope (Serpentes: Viperidae), with the description of a new species from Uganda. The Herpetological Journal 8: 117-135.